We’re excited to welcome our newest Scare Street author, Eric Whittle! Eric’s forte is psychological horror and his new book, Catharsis, is a different kind of spooky; one we haven’t seen here at Scare Street. There are plenty of twists, turns and scares that you won’t want to turn off your lights! After being put on leave for psychological distress, Sebastian Blakely goes to Elton, Nevada, to check on his estranged mother. He finds her in the local hospital – safe, but not sound. Her mind had deteriorated. When the same torturous creatures from his dreams make an appearance in his waking life, Sebastian’s mind begins to deteriorate as well. The gift of knowledge that once fueled the pursuit of his Ph.D., turns into a curse when delusions drive him to find proof of his own sanity, which is wearing thin. He finds a shred of evidence in his quest for truth during a conversation with his lifelong friend, Rick Dominguez, who describes seeing the same hell from Sebastian’s nightmares in his own. Sebastian rejects the possibility of it just being coincidence when the nightmarish creatures begin to manipulate the real world. Sebastian’s obsession with discovering what is and isn’t real drives him further into a psychological torment usually reserved for those that are either asleep in a padded bed or awake in a padded cell. The cackles of the crooked-mouthed tendrils from his dreams merge with the empty words spoken by the people of Elton. He can tell that they know more than they let on. Sebastian thinks he should trust the people, but the creatures’ laughter is much more alluring. This, combined with his unreliable memory, makes him abandon questioning his own sanity. Instead, he starts to question the sanity of others. 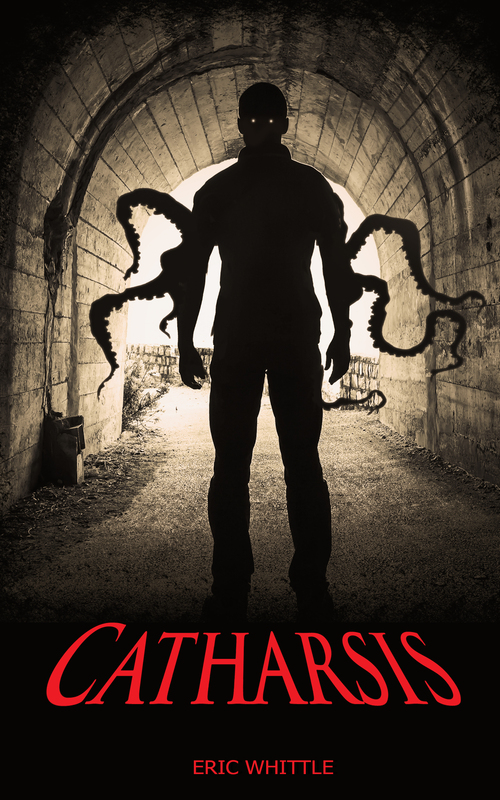 Catharsis is live on amazon and you can order your copy today!